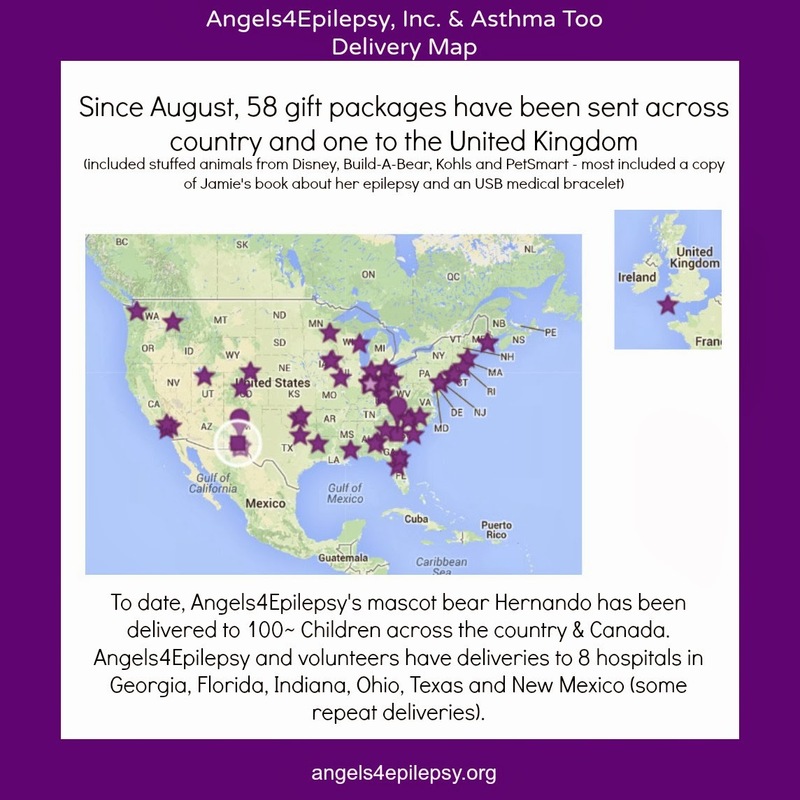 It's been a busy last half of the year for Angels4Epilepsy, Inc. & Asthma Too as we wrapped up the year with ending one project and concluding our 58th delivery for another project. Since the beginning of the year, we have delivered to hospitals in Indiana thanks to our wonderful volunteer Stacey Burns. We are avid Peyton Manning fans so we couldn't be more thrilled than to see deliveries occurring at the Peyton Manning Children's Hospital as well as Riley Children's Hospital. We also saw a first time delivery to New Mexico and we aren't done yet as we have a few stops in Texas yet to occur. We even delivered USB medical bracelets to one of our local neurologists, pulmonlogist and a cardiologist along with mini stuffed animals. 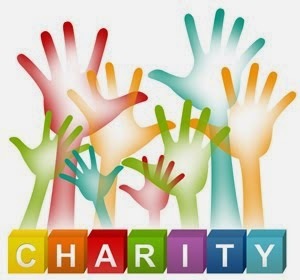 Our newest project incorporated our youngest Danielle into the picture as being a child with her own chronic condition of asthma, she wanted to give back to children with asthma. 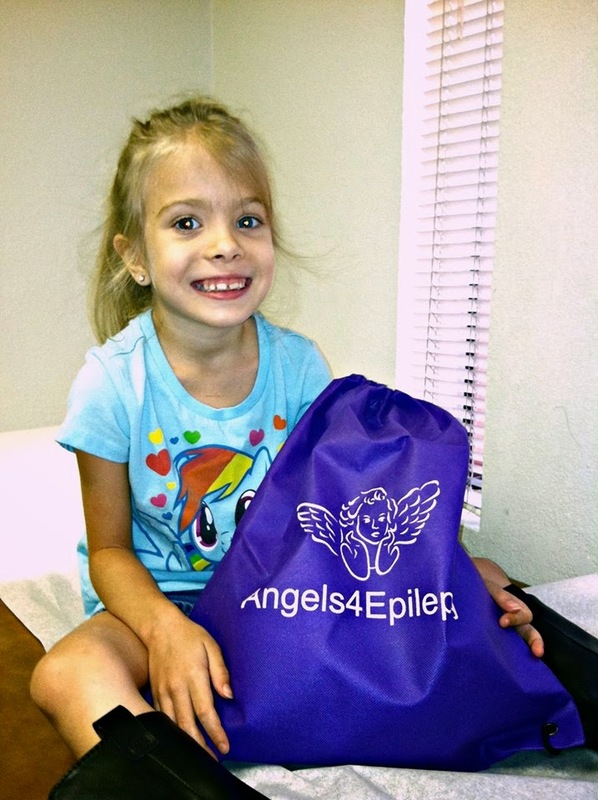 We have been delivering gift packages to children across the country with epilepsy and/or asthma and it's been sheer joy to see all the smiles on their faces. 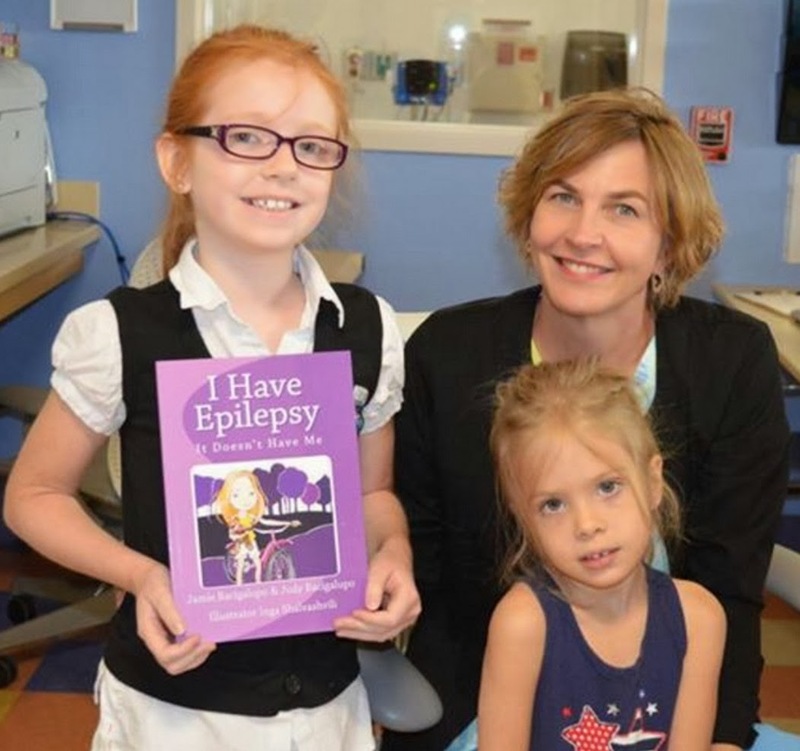 Most children received a stuffed animal, a book written by Jamie about her being a child with epilepsy and an USB medical history bracelet. We even ventured out with some fine ladies who make felt dolls. 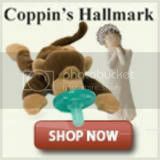 They created a special set just for children with epilepsy and come with an EEG cap and a Jamie bear. 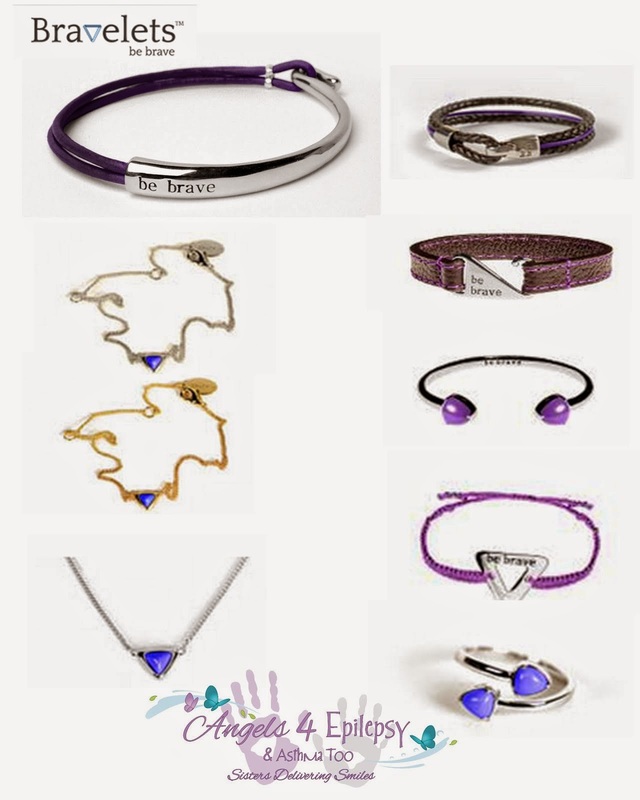 These are very near and dear to our hearts because they were inspired by us and the wonderful women even contribute a portion of sales back to us. 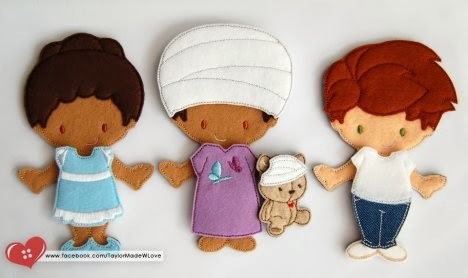 For more information on the epilepsy themed felt dolls, please click here for the original post.